Finlay Hay and two of his friends from the Yehudi Menuhin School are going to perform a concert at Garvald Church on Friday 22nd February at 7pm. This entry was posted in Church, Events on January 27, 2019 by Admin. After months of apparent police inaction in her daugher’s murder case, Mildred Hayes (Frances McDormand) makes a bold move, painting three signs leading into her town with a controversial message to the local police chief (Woody Harrelson). When Dixon (Sam Rockwell), an officer with a background of violence and racism also gets involved, the battle between Mildred and Ebbing’s police reaches crisis point. An Oscar-winning, darkly comic drama of pain, anger and forgiveness. 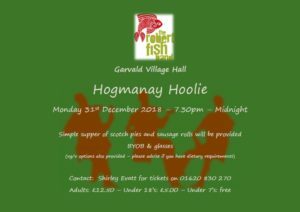 Hogmanay Hoolie – Tickets Selling Fast! Tickets are selling fast for this years’ “Hogmanay Hoolie”. Please contact Shirley Evatt on 830 270 if you’d like to book. This entry was posted in Events on December 20, 2018 by Laura Edmonds. Entertainment will be provided by Starz Entertainment this year. And there will be a visit from Santa! A small buffet will be provided. 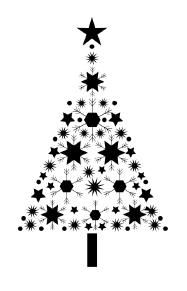 This entry was posted in Events on December 14, 2018 by Admin. Find out about membership, film nights and download our new 2019 film programme on our website. With a star studded cast including Hugh Bonneville, Sally Hawkins (seen most recently in our November screening of ‘Maudie’), Brenda Gleeson, Julie Walters and of course, arch villain Hugh Grant, Paddington 2 is our Members’ Choice film to close the 2018 season. Paddington falls foul of the law when a valuable antique book is stolen. Locked up in jail, it’s up to Paddington to unmask the thief…. In the meantime, wishing all our members a wonderful festive season! This entry was posted in Events, Yester Community Movie Association on December 10, 2018 by Admin. This year’s Garvald Christmas Dinner is at 7pm on Thursday 13th December in the village hall. If you are coming along, please make sure you drop in your RSVP to the mailbox on the gate at The Rowans… by this Friday please. This entry was posted in Announcements, Events on December 3, 2018 by Admin. Come along to the Garvald Christmas Craft Day on Sunday (25th) from 3-5 pm in the Village Hall! Get your Christmas jumpers on, come and enjoy mulled wine and sausage rolls or tea/coffee and mince pies! Take part in some craft activities and then join us as we switch on the Garvald Christmas Tree Lights on the Green at 5pm! You can then head over to The Garvald Inn where burgers will be served! 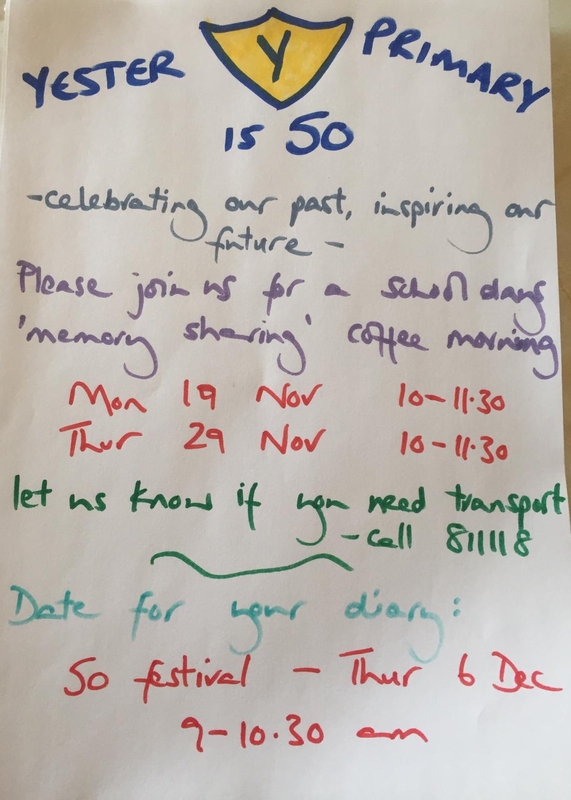 This entry was posted in Events, Garvald Village Hall on November 22, 2018 by Admin. 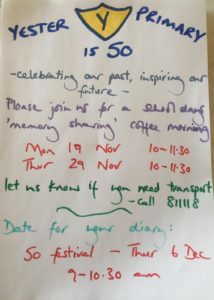 Memory sharing coffee mornings and 50 Festival. Details below. All welcome. This entry was posted in Events, School on November 13, 2018 by Admin.